Look, I get it. 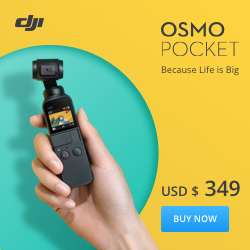 Maybe you are like me and have gigabytes of photographs and videos you took with your drone. With the videos, I tend to edit at least some clips but all those photographs usually go neglected. Well, perhaps this will change my Instagram game finally. So what kind of Magic Errrr sorcery does AirMagic do? It first determines which drone was used to capturing the photograph and then uses it’s stored lens correction fix parameters for that specific camera. It then uses the camera specifics to apply other corrections to give the best image. Next, it uses Algorithms & AI (Artificial Intelligence) to analyze each image. Based on factors in the photograph, it applies adjustments to increase/decrease color, remove haze and enhance the Sky in the photo. The best part is, so far you have only dragged an image onto AirMagic or loaded an image through its Open Image Dialog. 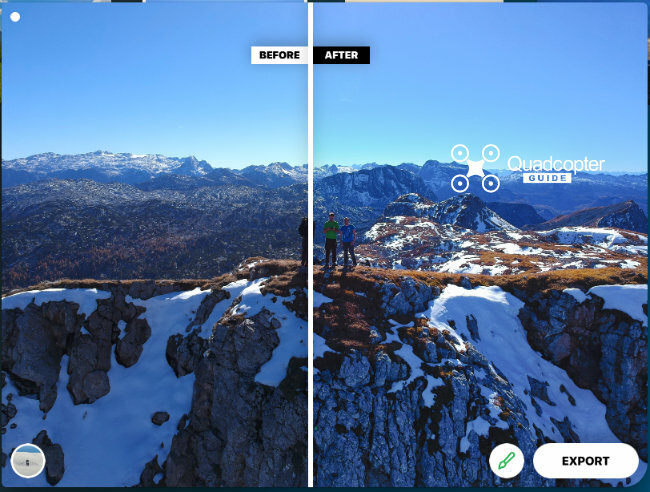 No matter which drone you have, the app will be able to improve your images. 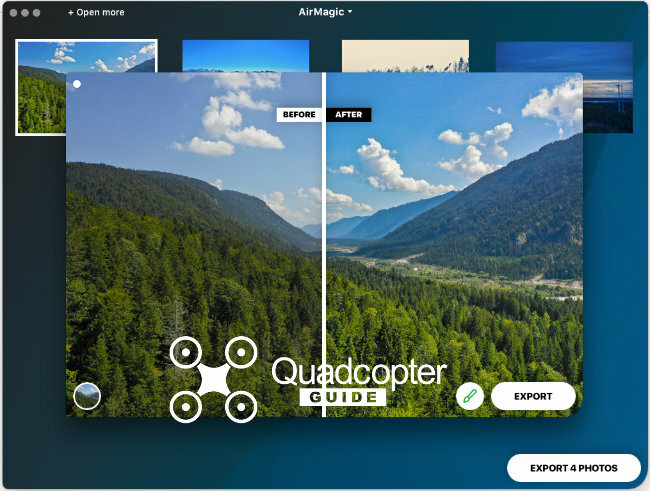 AirMagic at the time of writing, supports RAW, JPEG, TIFF, and PNG files that are at least 800×600 pixels in size. Normal Style, Chinook, Cinematic, Emotional, Sandstorm & Zephyr are just some of the styles available right away. There will be more styles available for purchase in the online store. You can get quite the variety of looks with the included styles. 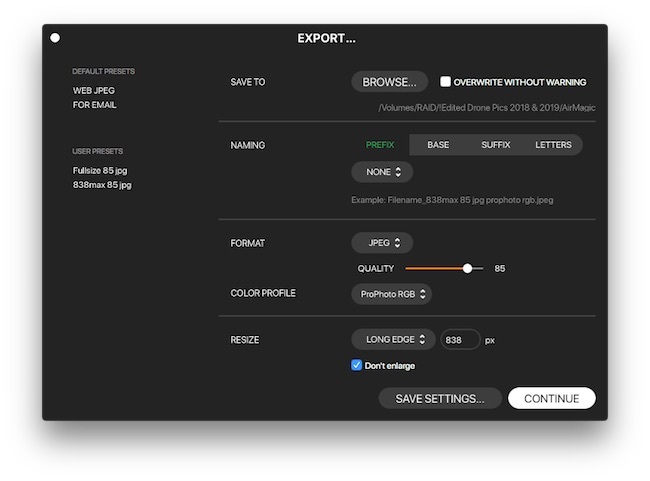 One nice thing about AirMagic, is that you can save export settings and quickly recall saved settings, so you don’t have to select everything manually all the time. Makes exporting different sizes and types a breeze. 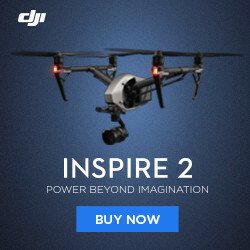 Use Promo QUADCOPTER for a 20% discount just for QuadcopterGuide readers! 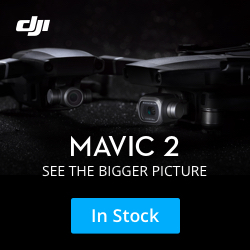 Stay tuned and subscribe to our YouTube Channel for Videos on AirMagic and other useful drone tools!